The skilled doctors at Virginia Orthopaedic and Spine Center (VOC) are highly trained in evaluating and treating shoulder and elbow pain in Culpeper, Virginia. Whether your goal is to reduce your pain and regain movement in your shoulder or elbow, or to return to your pre-injury level of functioning so you can get back to your sport, our knowledgeable physicians and physical therapists can help. If you’re experiencing shoulder or elbow pain, it could be related to arthritis, repetitive motion of the joints, heavy lifting, or strain or fracture from sports injuries or other physical activities. Osteoarthritis is the main cause of shoulder and elbow pain, since it can cause protective cartilage on the end of the bones in a joint to wear away, allowing the bones of the joint to rub against each other. We also offer physical therapy after surgery to help you recover as quickly as possible. 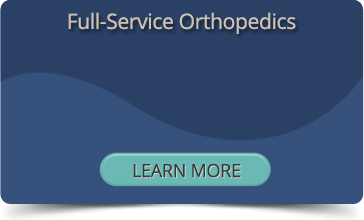 If you’re looking for treatment for shoulder or elbow problems in the Culpeper, Virginia area, the skilled doctors at Virginia Orthopaedic and Spine Center specialize in the treatment of arthritis and sports injuries, as well as shoulder and elbow surgery. Call (540) 825-5362 now or request an appointment online today.